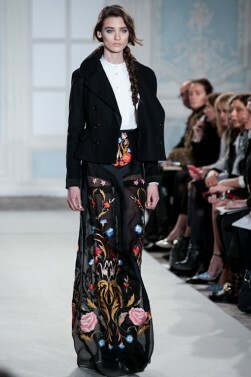 Alice Temperley’s autumn/winter 2014 collection told the story of two very different women leading two very different lives. 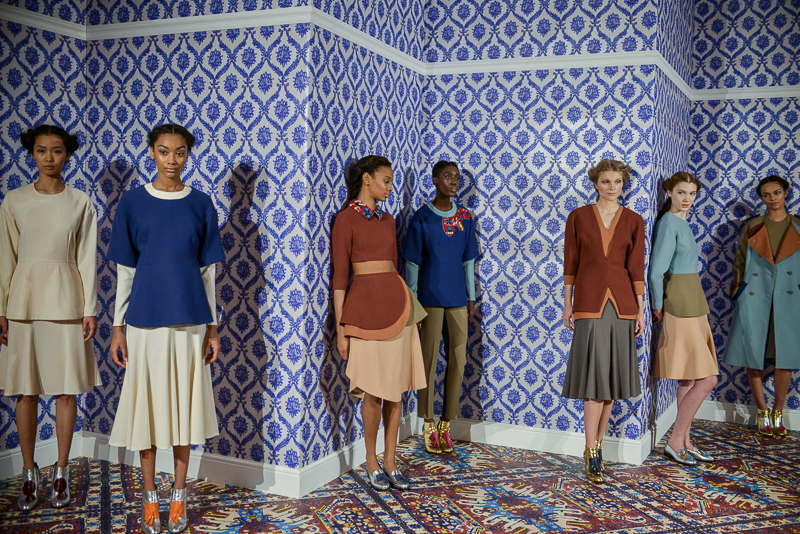 With a myriad of colours, textures and shapes the collection can be neatly divided into two categories: the whimsical and the elegant. 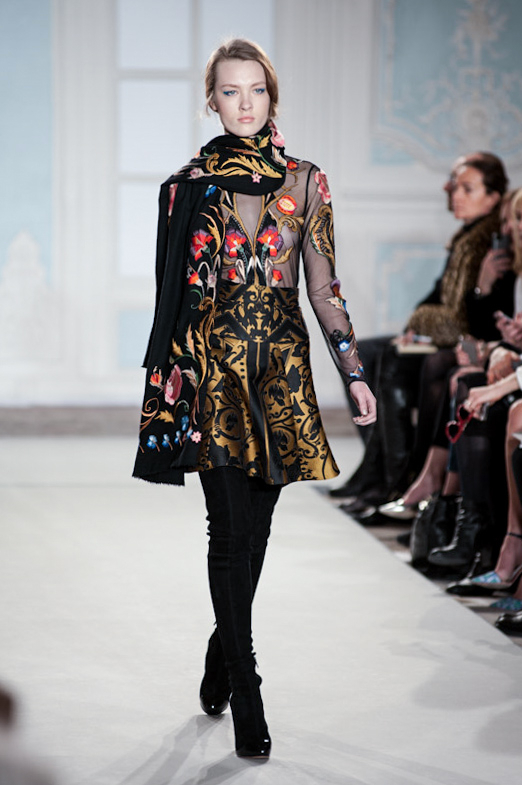 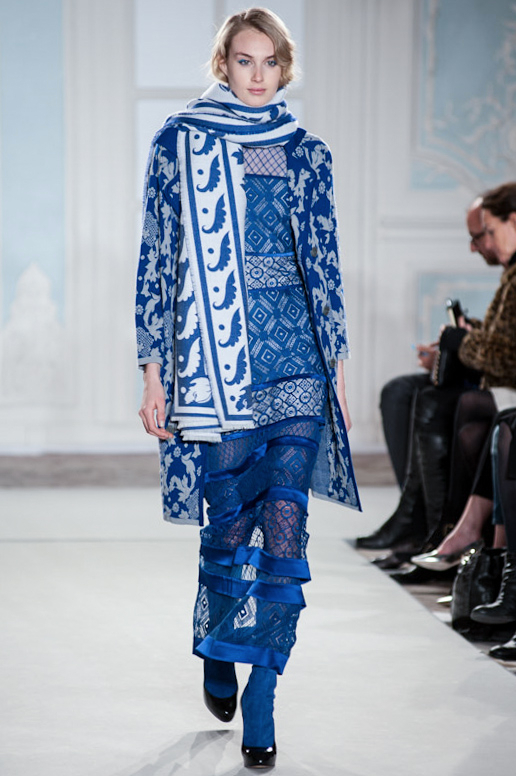 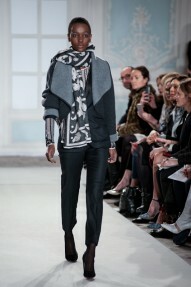 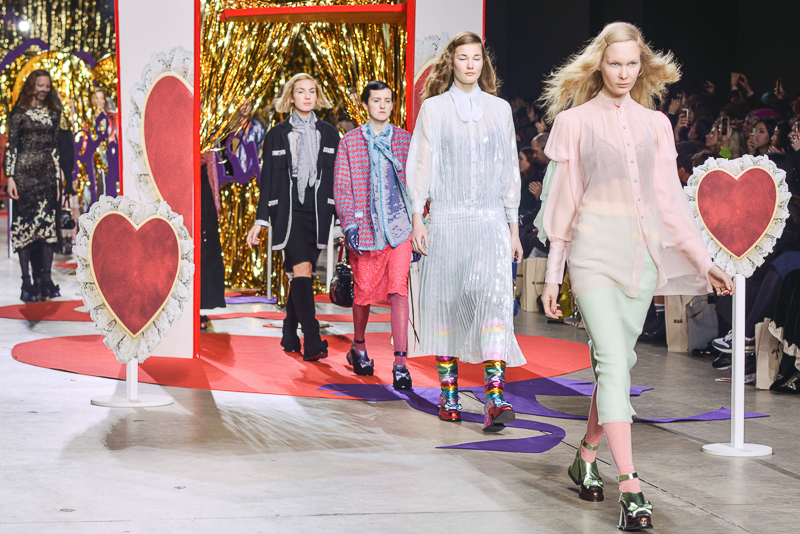 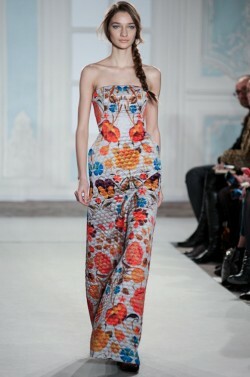 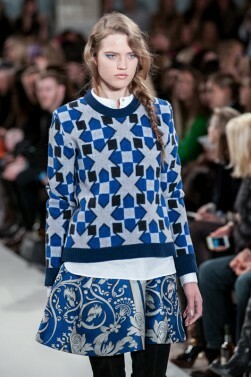 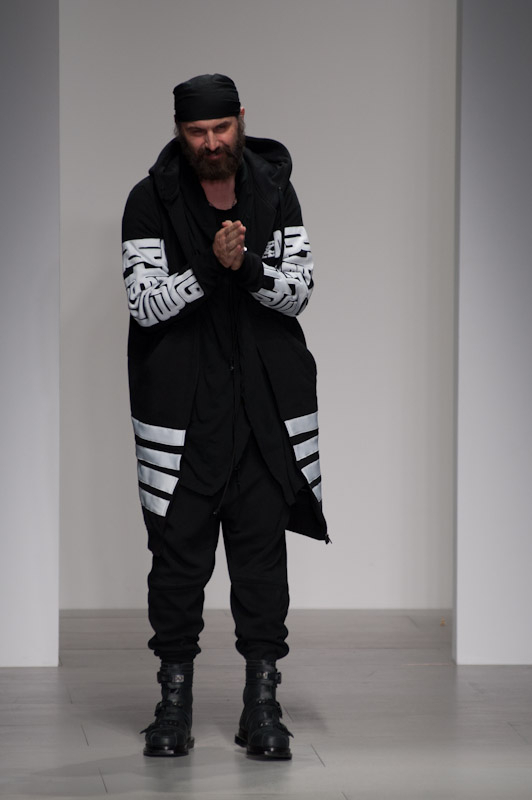 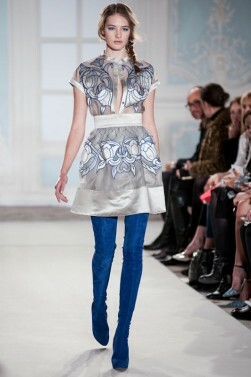 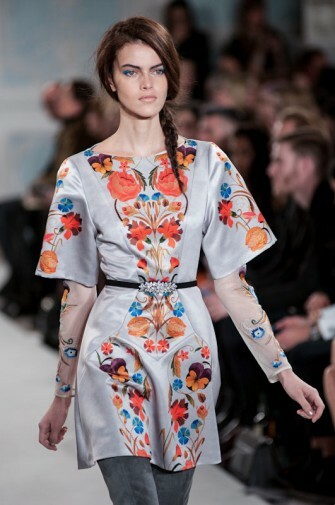 First down the runway was the whimsical folkstress dressed in colourful layers with beautiful Russian-inspired detailing. 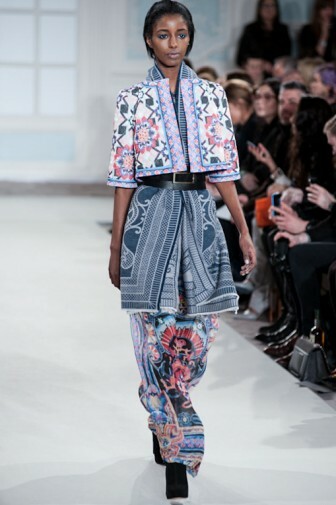 Quilted fabrics in vibrant blues and black featuring flowers and swirling patterns in stand-out greens, reds and oranges were used for dresses, skirt suits and jackets that wouldn’t look out of place in Timothy Sheader’s recent interpretation of A Midsummer Night’s Dream. 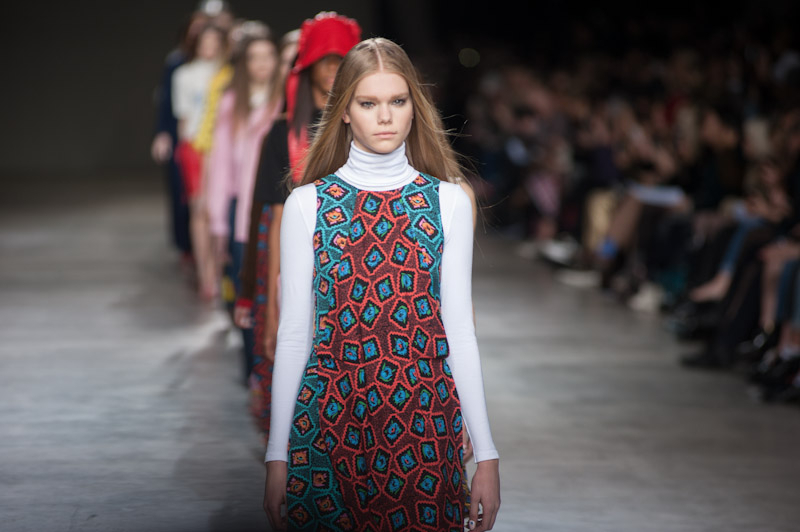 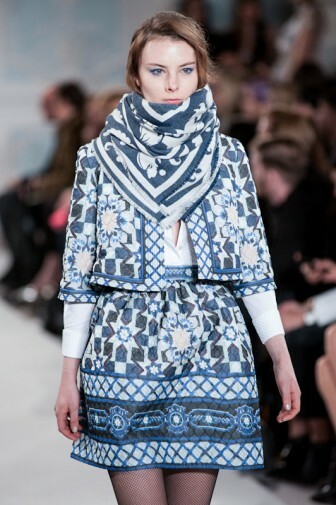 Cropped jackets, baby doll dresses and floor-length gowns, all featuring a folk theme detailing, were accessorised with gorgeous thick scarves that gave the outfits a boho air. 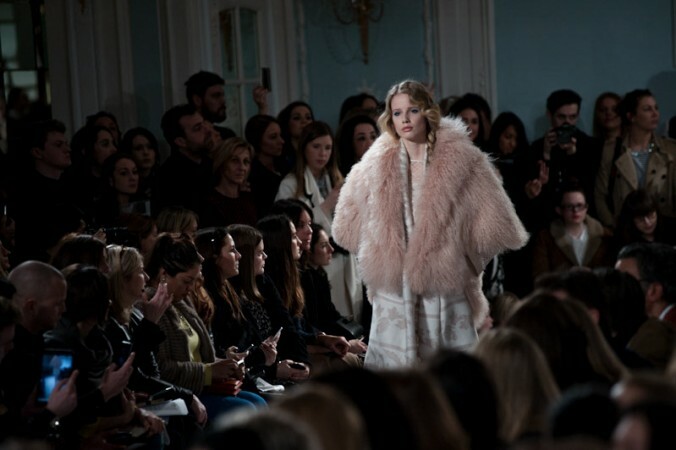 Providing the ultimate contrast was Temperley’s second woman, dressed in elegant shades of pale pink, grey and black. 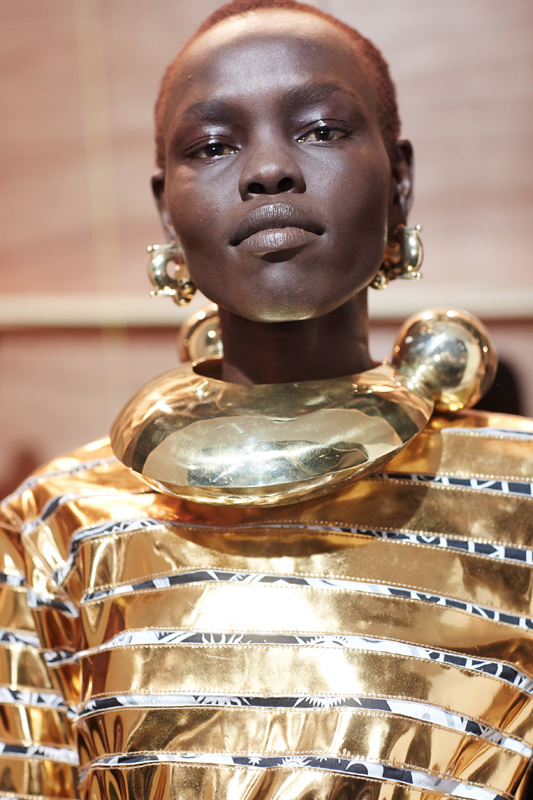 Featuring evening gowns with such detailed beading, the dresses practically undulated as if made of liquid, and sheer blouses and floor-length dresses, the second half of the runway show was more Bond girl than Russian elf. 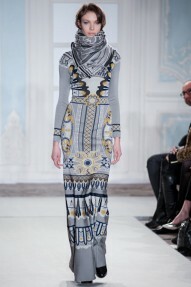 As with all of her catwalks, the winning feature of Temperley’s clothing is the attention to detail that Temperley pays. 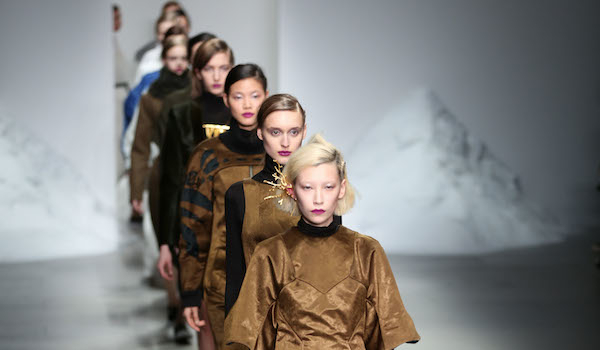 Dressing her models in suspenders that were just visible through the sheer fabric, the girliness of the collection was tilted slightly. 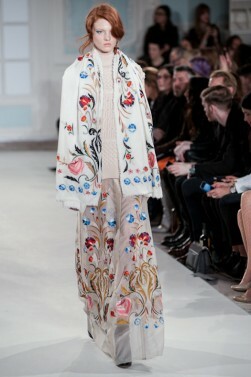 Stand-out pieces included a pale pink evening gown with a built-in shawl detailing and a stunning black quilted coat with a bright flowered pattern. 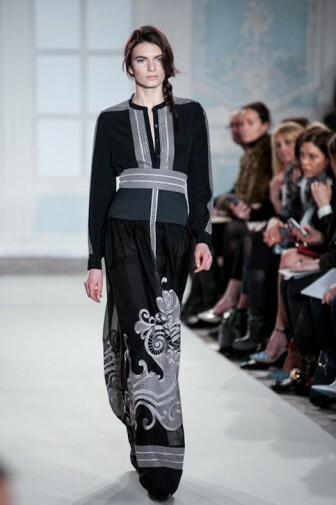 Overall, Temperley brought two women alive in her collection. 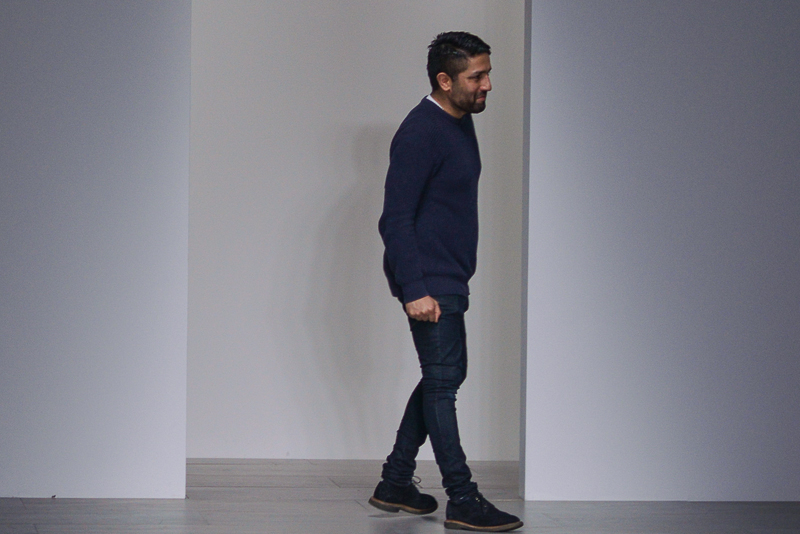 Both of whom are highly desirable.